DTFizzix Science News: 2017 TOTAL SOLAR ECLIPSE! Start planning NOW! 2017 TOTAL SOLAR ECLIPSE! Start planning NOW! Hey There! Hi There! Ho There! It's been well over a year since I've posted anything. 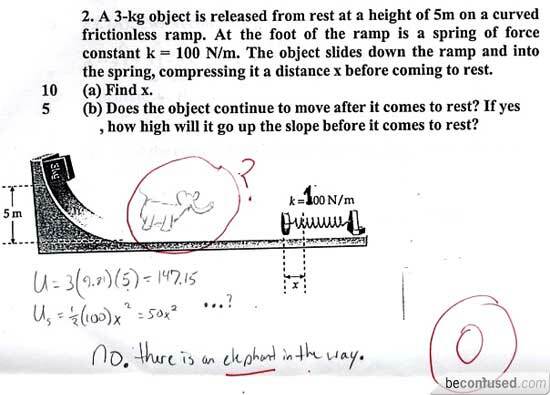 I decided to concentrate on my last year of teaching and not have all these side things going on. So, just in case you are interested in the petty little thing I call my life, I retired for a 2nd time in June of this year and am now happily ensconced in New Hampshire with my lovely bride of a dozen years looking for a few canine buddies to rescue. 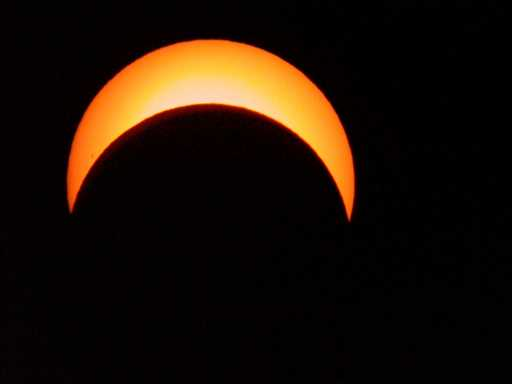 So, anyway, just a quick blast to let you know of the TOTAL SOLAR ECLIPSE happening next year! For starters, below is a map showing the progression and local times from Newport OR @ 10:15 AM MT to Charlotte SC @ 2:46 PM EDT. I'll be in Kansas with my lovely wife for the viewing with a real astronomer buddy of mine, Mike Ford, a real honest-ta-goodness observatory director (Banner Creek Observatory, KS) and past NASA co-worker. 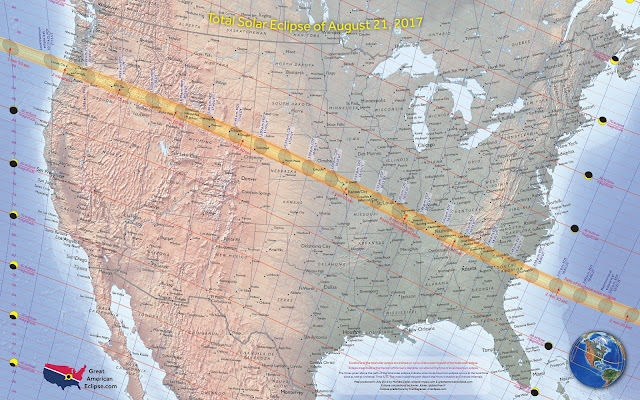 DETAIL #1: Totality, occurring within the yellow strip in the map above, means the Moon will totally block out the Sun. Totally, Dude. Everywhere else in the continental US, Canadia, and Mexico will witness various degrees of partial blockage. 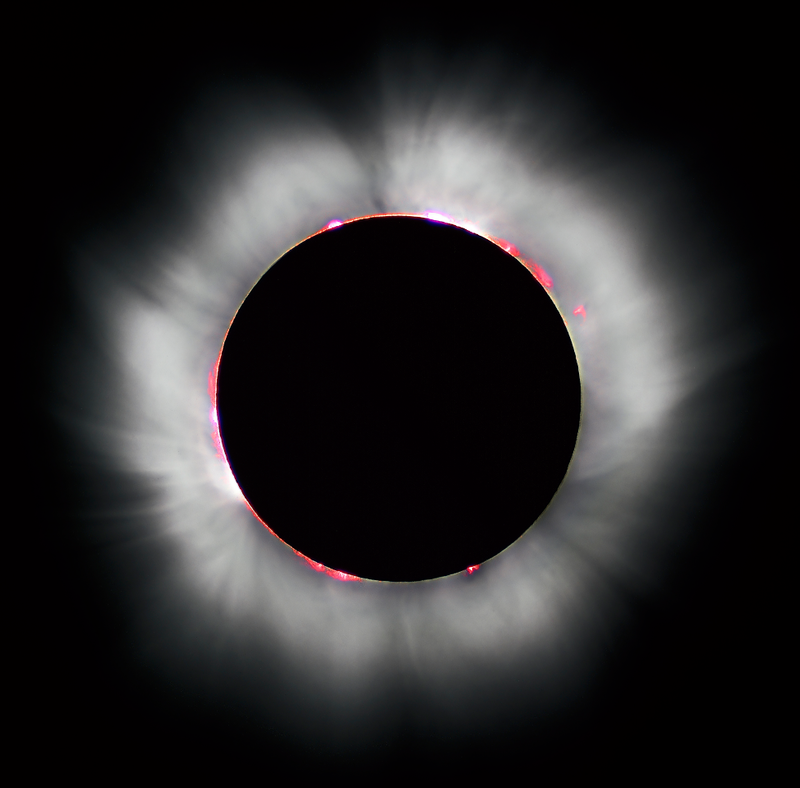 The following image is totality from 2015 taken in Norway. Notice the prominent Corona I warn you about later. Yikes and GadZooks. 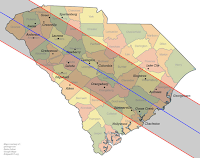 DETAIL #2: The other two types of solar eclipse are Annular and partial. Annular is when the Moon is, indeed, directly in the path of the Sun, but is too far from Earth in its elliptical path to block it all. 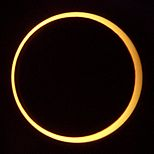 It's sometimes referred to as the "Ring Eclipse". Partials, right image, will be seen everywhere in North America on 08/21/2017 away from the totality path. 1. WEBSITE #1 : Full graphical description of where and when totality occurs all the way from Oregon to S Carolina. Examples of TN and SC below. 2. 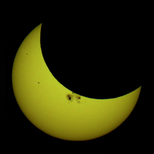 WEBSITE #2 : Astronomy Magazine's "25 Things You Should Know" about this eclipse. 3. WEBSITE #3 : The Great American Eclipse 2017 full scale hard-core science knowledge. More here than anyone would ever need.